People with ADHD can struggle in relationships, work, and life in general from living with an invisible disability. These struggles can be more manageable, though, with awareness and use of ADHD informed strategies. If you have been diagnosed with or suspect you may have Attention Deficit Hyperactivity Disorder (ADHD), it is important to arm yourself with the right information to help you create a plan to prevent the emotional, financial and negative professional repercussions that can occur, such as losing your job as a result of your undisclosed ADHD. A review of empirical data from US-based studies on ADHD published between January 1990 and June 30, 2011, found that unmanaged ADHD has a huge impact on the US economy. Particularly in adult ADHD, and more so in the workplace. Poor productivity – A study by the World Health Organization determined that when left untreated, adults with ADHD lose an average of 22 days of productivity per year (Hilton, et al., 2009). Loss of Employment – Employees with ADHD are 30% more likely to have chronic employment issues, 60% more likely to be fired from a job, and three times more likely to quit a job impulsively (Barkley, 2008). 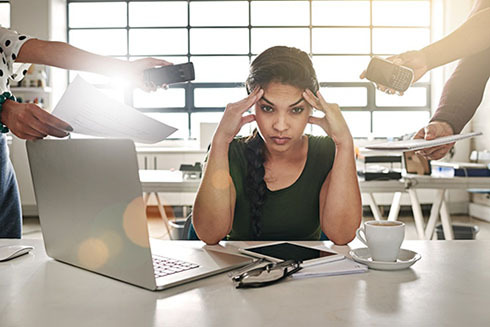 Stress induced illness – Another study on the incidence of ADHD reported that at least 24% of employees on long-term sick leave due to stress-related illness met the criteria for Attention Deficit Disorder (Brattberg, 2006). Stigma – Social rejection by peers, minimizing of their ADHD symptoms, name calling, lost promotions, bullying, and job termination are only a few examples revealed in ADDA’s Workplace Committee 2014-2015 survey “Did You Disclose Your ADHD at Work?” As a result, ADHDers may experience intense stress as they struggle with shame and guilt as well as working much harder to make up for their productivity challenges. While many of the symptoms can be issues for individuals suffering from ADHD, some of these symptoms create serious performance issues within an organization that may need to be addressed. People with ADHD face a number of issues in the workplace. They may include interpersonal conflict, tardiness, high absenteeism, high error rate, inability to change and lack of dependability. Consequences for these behaviors could include reprimands, suspensions, demotions, loss of pay, and termination. with ADHD succeed in the workplace, the plight of employees with ADHD has been largely ignored. ADHD impacts the Workforce in that 1 out of 3 persons diagnosed with ADHD is jobless at any time. The ramifications of this alarming statistic impact not only those who remain unemployed, underemployed and consistently newly employed, but also has larger socioeconomic impacts. Having continual trouble at work and consequently losing a job is a traumatic experience that erodes a person’s self-confidence. Frequent job changes for the diagnosed and undiagnosed is an endless cycle of relearning intricate job processes, re-entering into new workplace cultures and feeling as if you are failing social expectations, both as a worker and a person. There is the stress of dealing with the demands of management, human resources and colleagues who don’t know what ADHD is and who may not understand an employer’s responsibility to provide accommodations to workers with disabilities. The impact on the employee cannot be overstated: remaining in lower-level positions throughout life due to frequent job changes means that seniority is not built, income does not increase, accrued leave and retirement contributions remain low. These issues, among others, must help guide your decision to disclose your ADHD. Employers lose out in this turnover, as well. These employees have potential to be useful assets for organizations: many have developed a sense of humor or resilience as a result of frequent mishaps; they often have developed a wide range of skills they can offer; and they frequently have the ability to learn quickly. Certain symptoms of ADHD can create challenges for teams. A tendency for many ADHDers is to procrastinate. Their disorganization, their challenges with planning and managing work, and their poor estimation of the time required to accomplish certain tasks all lead to submitting work at the last minute. When working in a team, this can create havoc, as other members may have to scramble at the last minute to complete their tasks because of the late completion of assignments. Furthermore, ADHDers can present with impulsive behavior where they blurt out things without thinking of their consequences, which can also create friction in the team. ADHD affects a person’s ability to control their emotions, which is one of the executive functions of the brain. Adults with ADHD often have had a lot of challenges and failures in their lives that makes them particularly sensitive to criticism. Employees with ADHD often struggle to control their emotions and may lose their patience easily. As a result, they are more likely to struggle with conflict at work. The employee faces struggles in the workplace, not the least of which is the reaction of coworkers and supervisors. Areas that often lead to issues with coworkers and supervisors include poor planning skills, inability to transfer knowledge to others, difficulty learning new skills and failure to follow through on commitments. Moreover, coworkers and supervisors may respond with avoidance, complaints or interpersonal conflicts. 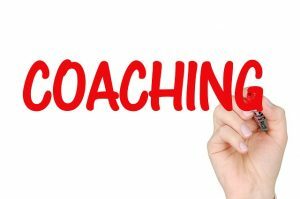 With ADHD workplace coaching, most ADHDers can overcome the majority of these challenges. Having a team and supervisor who are open to accepting a diverse workforce and embracing strengths can have a positive impact. In numerous studies and articles, the link between work productivity and untreated ADHD has shown to be great. Symptoms displayed in the workplace can have a large influence on how productive the employee is at their job. Employees are easily distracted and may struggle to stay focused, especially in today’s workplace. As a result, they may have a tendency to make mistakes. Their challenges with organizing, prioritizing, and planning also affect their productivity. Effective treatment and ADHD-friendly strategies can help reduce symptoms and allow a person with ADHD to perform their job at an optimum level. Furthermore, factors such as work environment, job tasks, coping skills and workplace accommodations may influence an employee’s ability to succeed. However, some common factors that must be overcome are poor planning skills, memory issues, self-discipline, behavior awareness, lack of motivation and concentration. An employee with ADHD will likely find they are better able to manage the effect of their ADHD on productivity as they learn about how their brain works and its impact on their efforts. With awareness, comes better-informed strategies. Coaching and training can also greatly help the employee with ADHD. While there has been only one study on this phenomenon, many ADHD professionals agree that a large proportion of their clients have had one or more bouts of burnout, often before their official diagnosis. ADHD-related burnout not only requires rest but also developing organizational skill sets, such as time and project management, improved work processes, and managing distractions at work and identifying whether workplace accommodations are necessary. The following articles provide strategies for preventing and managing burnout in ADHD employees. 2 Hilton, M.F., et al., (2009). The Association Between Mental Disorders and Productivity in Treated and Untreated Employees. Journal of Occupational and Environmental Medicine. 51(9). pp. 996-1003.